Criterion Auctioneers has opened a valuation office in South Kensington in the hope of snaring some of the business left by the closure of Christie’s in the area. Criterion Auctions operates from Grade II-listed Jaggards House near Bath. Criterion, which closed its Wandsworth saleroom in December, will have two members of staff based at the serviced office space at 239 High Street Kensington, five days a week. The firm now plans to hold weekly auctions at its Islington saleroom (scheduled for refurbishment in July) and monthly country house sales at Jaggards House in Corsham, near Bath. Lower-value lots will be sold online with many offered with a ‘buy it now’ option. Bath will also hold ad hoc single owner specialist sales such as the recently held sale of a collection of Thomas Kramer, a former Miami real estate investor. 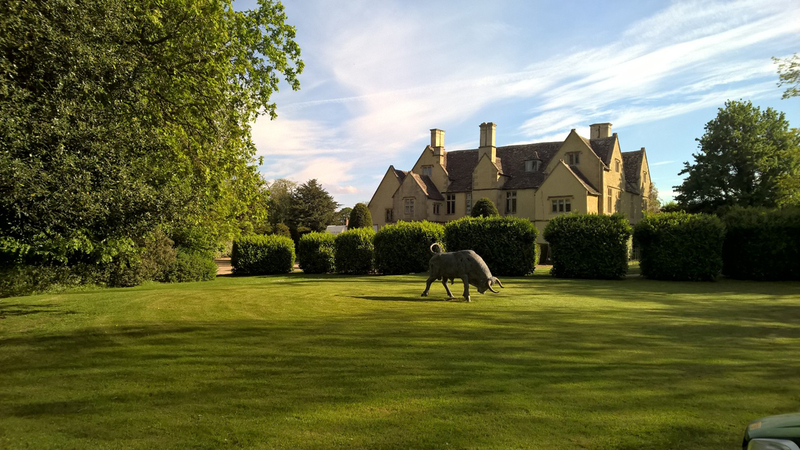 The auction house said 90% of the lots sold including this bronze bull (pictured in the grounds of Jaggards House). General manager Guy Jackson, who joined three years ago, said Islington will aim at selling lots above a £200 threshold and the number of lots will reduce to around 400-500, down from 650 lots a week. The firm will use auction websites to sell online but is also planning to develop its own selling website. Jackson added: “We will have a permanent online catalogue of hundreds of lots with buy it now options and timed auctions. The firm is also searching for a storage location in north London to house stock for its website.